WHAT CAN HARM YOUR DEVICE ?!! 1) When the app tricks the user into giving it permissionsit does not need to do its job. 2) When the app hides malicious code behind legitimatepermissions. 3) When the app tricks the user into entering in personalinformation or sensitive data (such as a credit card number). There are various ways malicious developers (also known ashackers or crackers) accomplish this. We'll briefly define each kind just tohave a common understanding of the terms. Malware generally is an all-encompassing term used todescribe any harmful program. This includes spyware, viruses, and phishing scams. Sometimes the older term 'virus' is used in this context, but malware isnow considered more accurate. Phishing and spyware are closely related. They work on asimilar principle: tricking the user and sending user information to a 3rd party to steal it. The difference with phishing however, is that theapplication (or website) will pretend to be from a trusted source to try and'trick' you into entering in your details. Contrastingly, spyware would try tohide itself from being known to the user. One way to think about the differenceis that phishing is masquerading while spyware is hiding, but the end goal ofstealing your data is the same. An example of this would be an app or website pretending tobe affiliated with your bank or Paypal or your email provider (Gmail, Hotmail,Yahoo). However it can, and does, include any service where someone might wantto steal your identity or password. There have been known successful phishing attacks related toat least one bank on Android. The definition of virus used to be more all-encompassing.These days that term has been replaced by malware. Virus is more typically usedto describe a specific type of software that takes control of your operating system and either damages it, or uses it for its own purposes. An example mightbe when a virus sends emails to everyone in your email address book. Again thisis the type of program least likely to be a problem for Android. A trojan horse is really just a specific type of virus. Itmerely refers to the idea that the app pretends to be something useful or helpful or fun for the user while actually causing harm or stealing data. Thisterm is often used to describe spyware and phishing attacks as well. Adware is typically a bit of a grey area. Sometimes this isalso called nuisance-ware. 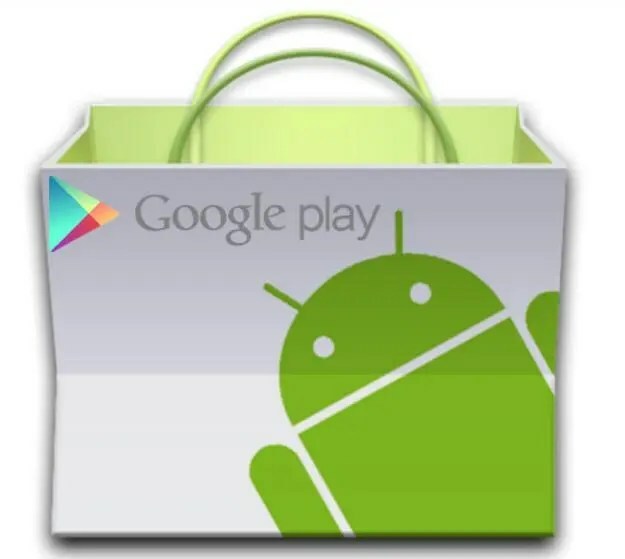 This type of application will often show the users an excessive amount of advertising in return for providing a service of dubious quality to the user. However, this type of program can often be confused withlegitimate ad-supported software, which shows a mild to moderate amount ofadvertising while providing a useful service that the user wants. Because itcan be hard to tell the difference, there exists a grey area from most anti-virus companies as to how to handle adware. ]When you install an application the Market will tell you allof the permissions it needs to function. These are important to read. Permissions can give you an idea if an application is asking for more than itneeds to function properly. 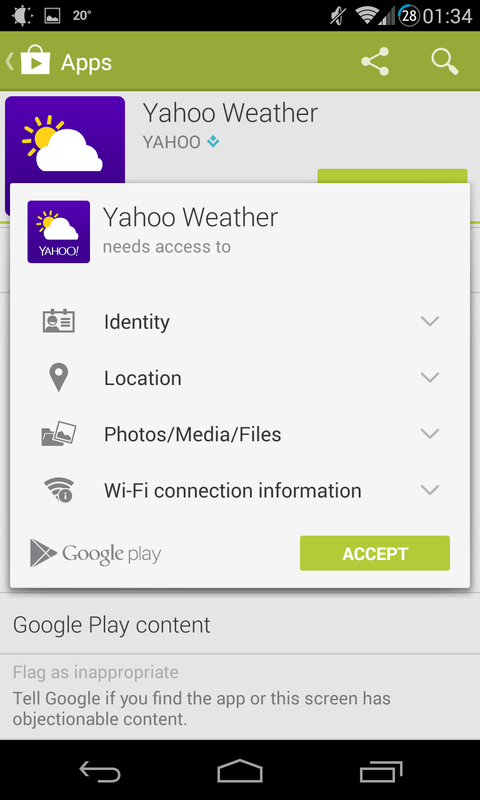 While some legitimate apps often ask for more permissions than they need, it should at least raise an eyebrow. Again this isjust part of what you should consider when deciding if an application is safeand good quality. Note: in the latest version of the phone version of the Android Market the permissions are only shown after you click install. You will then be shown a screen with the list of permissions and an "Accept andDownload" button.